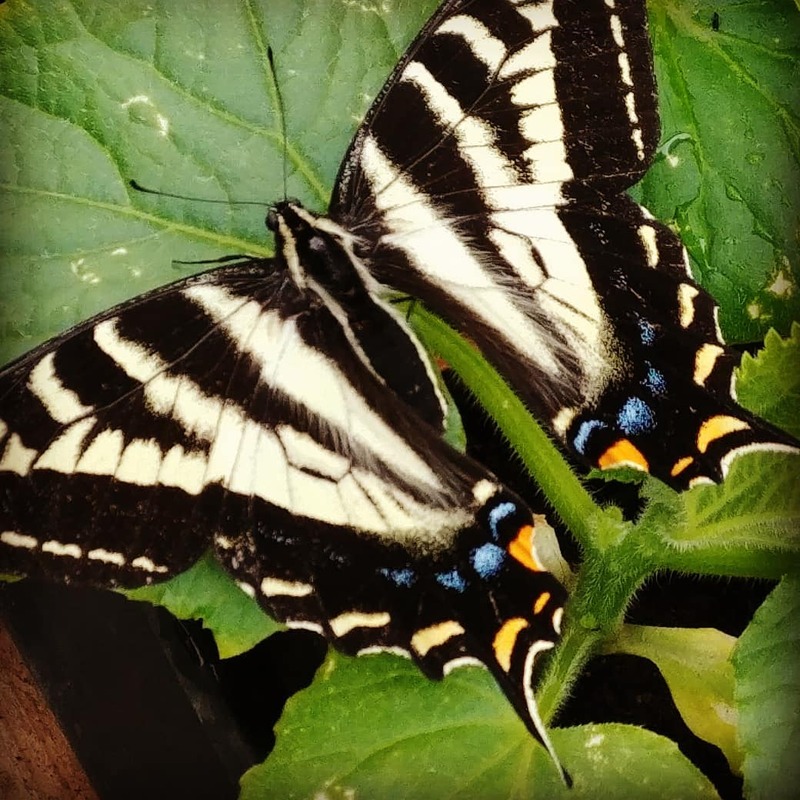 Observation notes: It doesn't perfectly match the Western tiger Swallowtail description, but it's the closest we could come up with. Also, we have a good-sized stand of aspen on the property and it was in the vegetable garden which also has pollinator attracting flowers growing in it. 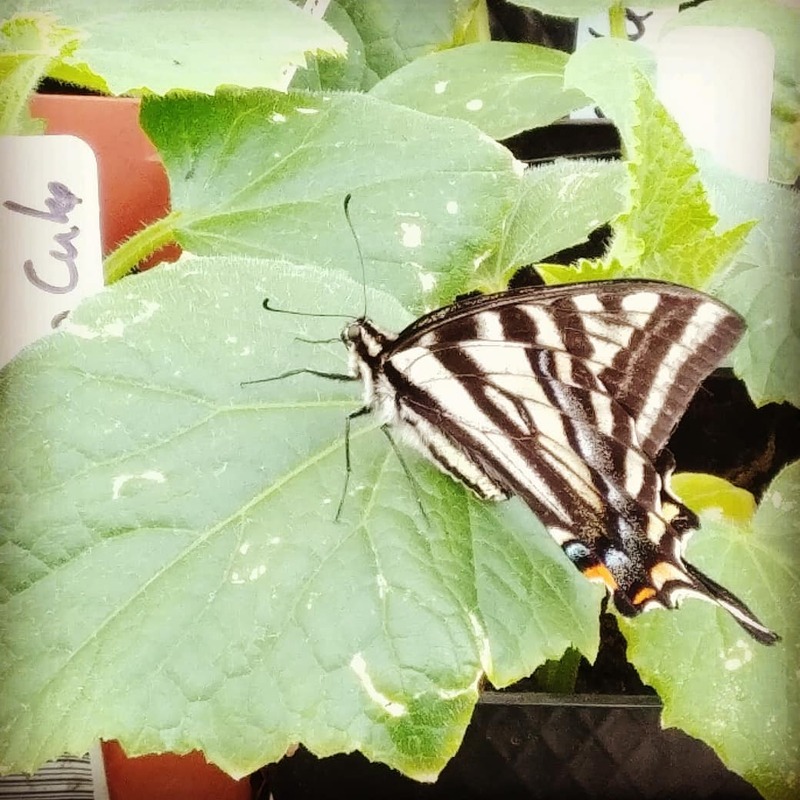 Actually, it was resting on my cucumber starts in a small greenhouse.